Scott's Journey: page 1 - preparations | page 2 - the polar journey | time-line and info graphic | this page - crew of the Terra Nova | | why did Scott die? | what did Scott's team die of? Abbot, George - petty officer, R.N. Archer, W.W. - Chief steward, late R.N. Browning, Frank V. - petty officer, 2nd class, R.N. Campbell, Victor - Lieutenant, R.N. Clissold, Thomas - cook, late R.N. Crean, Tom , petty officer, R.N. Dickason, Harry - Able seaman, R.N. Evans, Edgar - petty officer, R.N. Forde, Robert - petty officer, R.N. Hooper, F.J. - Steward, late R.N. Keohane, Patrick - petty officer, R.N. Lashly, William - chief stoker, R.N. Levick, G. Murray - Surgeon, R.N. Williamson, Thomas, S. - petty officer, R.N. Bailey, Arthur S. - Petty officer, 2nd class, R.N. Balson, Albert - Leading seaman, R.N. Brissenden, Robert - Leading stoker, R.N. Bruce, Wilfred M. - Commander, R.N.R. Burton, William - Leading stoker, R.N. Cheetham, Alfred B. - Boatswain (Bosun), R.N.R. Davies, Francis E.C. - Leading shipwright, R.N. Dennistoun, James R. - In charge of mules in the ship. Drake, Francis R.H. - Asst. Paymaster, R.N. (retired), secretary and meteorologist in the ship. Heald, William L. - R.N., Late P.O. Leese, Joseph - Able seaman, R.N. Mather, John Hugh - Petty officer, R.N.V.R. McKenzie, Edward A. - Leading stoker, R.N. Parsons, Frederick - Petty officer, R.N. Pennell, Harry L.L. - Commander, R.N. Rennick, Henry E. de P. - Lieutenant, R.N. Stone, Bernard J. - Leading stoker, R.N. Born on the 23 November 1881 in Trinidad, he qualified as a doctor in 1906. 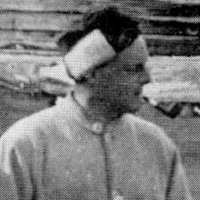 He was in command of the Terra Nova Expedition's Cape Evans base for most of 1912 and as a doctor cared for several patients through a difficult winter. He led the party which found the tent with the bodies of Scott, Bowers and Wilson. He served with distinction in the WW1 being decorated twice and wounded several times. 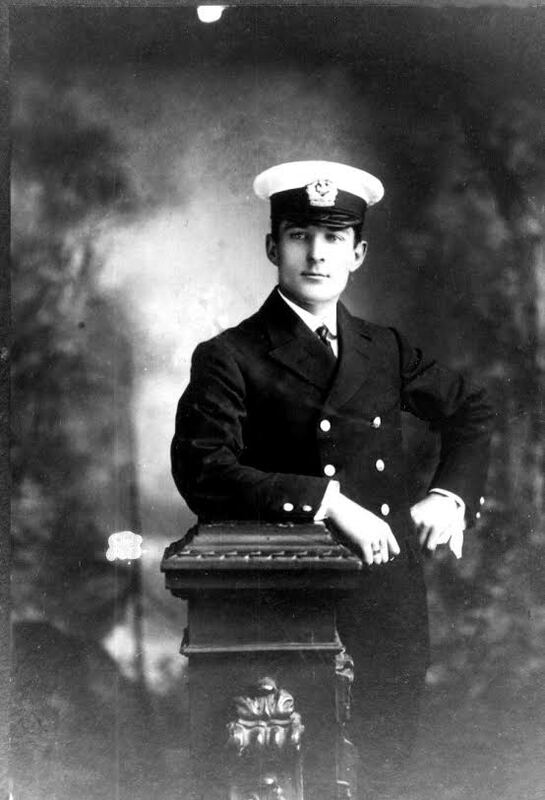 He served in the navy until he died suddenly in 1929 at the age of 47. A Scot, born in Greenock, he became a sea cadet and joined the navy serving in India before being recommended to Scott by Sir Clements Markham being appointed without an interview. 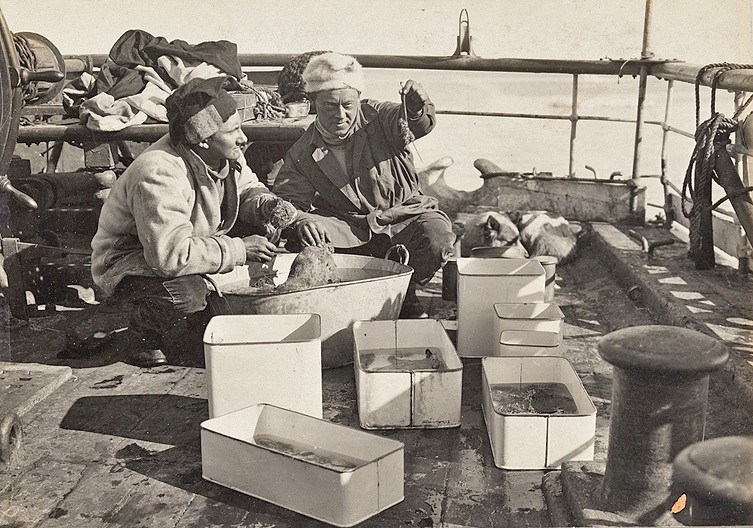 Originally storekeeper on the ship, he accompanied Cherry-Garrard and Wilson in their trip to Cape Crozier to retrieve an emperor penguin egg. 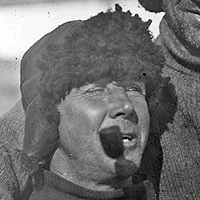 Bowers was originally one of the men who was to aid with supporting the South Pole attempt though not a part of the final party. Scott included him however when the support team turned back making him the 5th member of what had been planned logistically as a 4 man group. 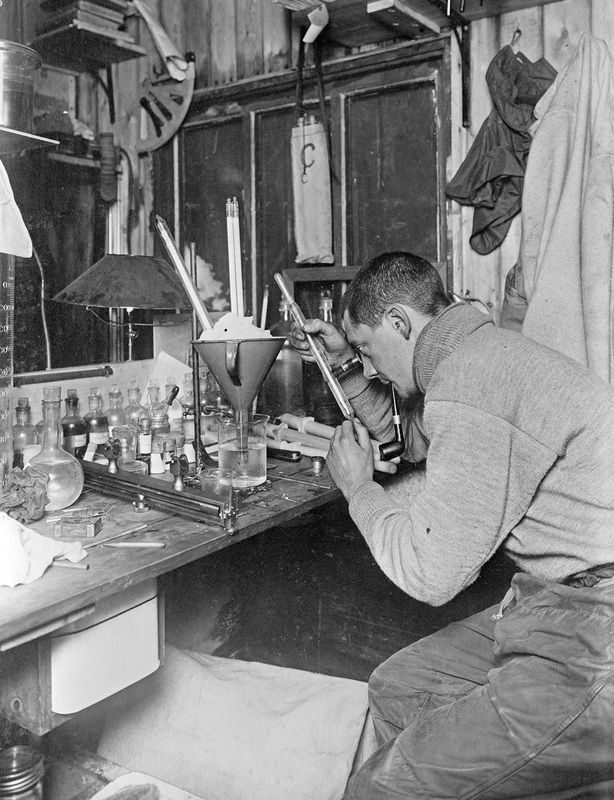 He died on the way back from the South Pole with Scott and Wilson in their tent, he was 29. Campbell, Victor Lindsay Arbuthnot - First Officer - Lieutenant, R.N. 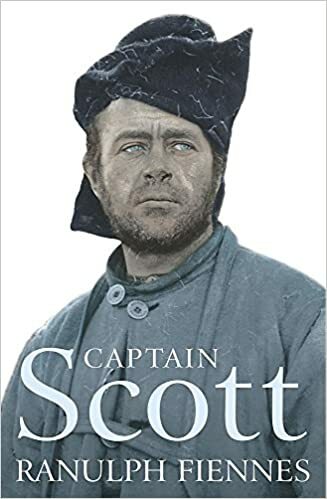 Born in Brighton, England, received a Royal Navy commission in 1895 which he resigned in 1901 to live the life of a country gentleman before joining Scott on the Terra Nova. 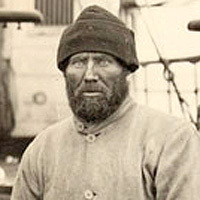 Campbell led an Eastern Party of 6 men to carry out scientific work, failing to find a landing site, they returned westward again when he met Roald Amundsen on the Fram in the Bay of Whales. 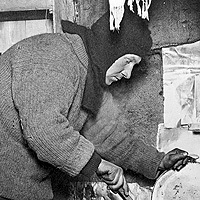 On return Campbell's party became the Northern Party, built a hut and wintered at Cape Adare in 1911. They were transferred about 250 miles by the Terra Nova to Evans Cove with enough sledging rations for 6 weeks and the intention of staying 2 weeks before being picked up again. Sea ice conditions meant that the ship could not reach them and they had to over-winter again. An ice cave was excavated on Inexpressible Island and a miserable winter ensued, rations being extended with the occasional seal or penguin that could be killed. They left at the end of winter on the 30th of September 1912, heading for Cape Evans, crossing 200 miles of sea ice to arrive on the 7th of November. Campbell assumed command of the Terra Nova after being told of the death of Scott and the Polar Party as he was the senior remaining naval officer. 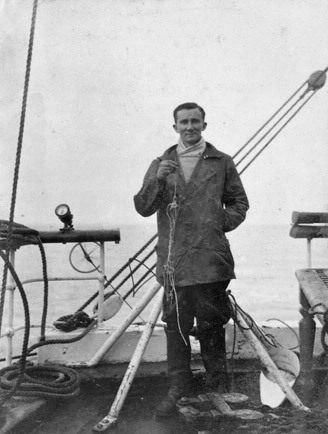 Evans , Edward Ratcliffe Garth Russell "Teddy" - Navigator and second in command, Captain of the Terra Nova - Lieutenant, R.N. Born in London. He was seconded from the Royal Navy to be second officer on the Morning, the relief ship for Scott's Discovery Expedition. 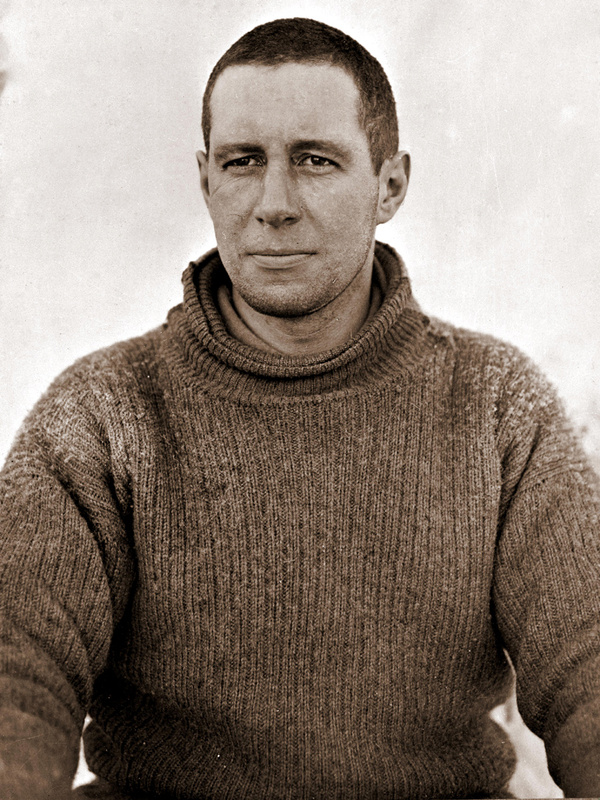 Made second-in-command of the expedition and Captain of the Terra Nova, Scott named the first landing site on Ross Island, Cape Evans in his honour. 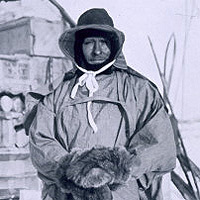 Evans was involved in depot laying in advance for the polar party and after the winter was in charge of the four man "Motor Party", the first to set out as part of the South Pole attempt. Evans was in the last group to be turned back 160 miles from the pole after not being selected for the final Pole Party. The journey back was difficult for Evans, he developed snow blindness and began to show signs of scurvy, he was weakened and in pain, after two weeks he was being pulled on the sledge by his companions Lashly and Crean. On the 13th of Feb what Evans later referred to as "the first and last time my orders as a naval officer were disobeyed" occurred when he tried to order his companions to leave him. 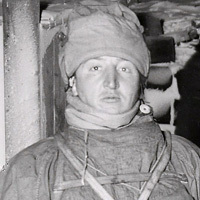 Evans was close to death when he was taken back to the main hut after Crean went for help. 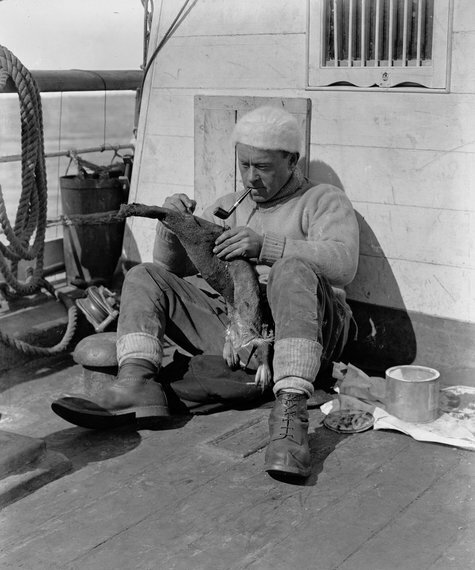 He was placed on the Terra Nova and remained bedridden until April when the ship reached New Zealand. He commanded the Terra Nova on her final relief journey to Antarctica. 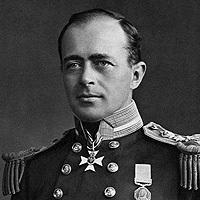 When he learned of Scott's death on January 13th 1913, he assumed command of the expedition and arranged the final departure from the continent. Born in born in Newcastle upon Tyne, Murray joined the Royal Navy in 1902, a specialist in physical training. 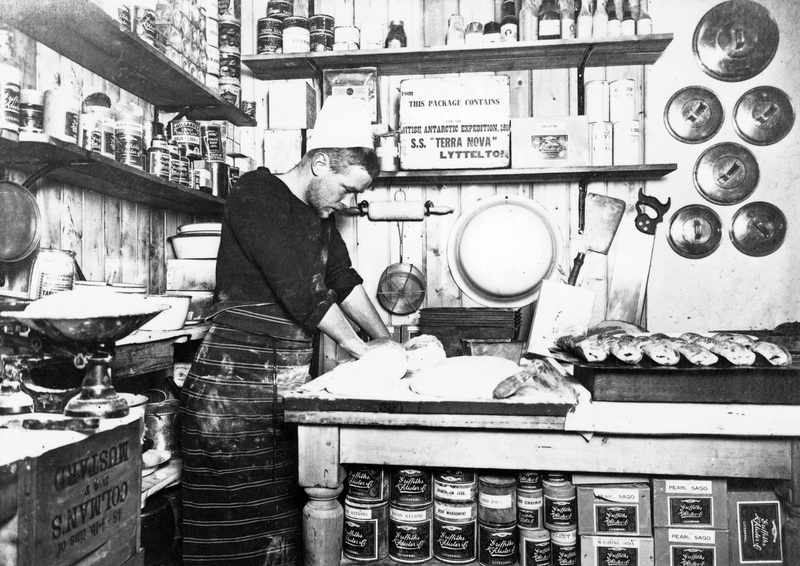 A member of the Northern Party, he spent the austral summer of 1911-1912 at Cape Adare amongst the largest Adelie penguin colony in the world. A part of his studies of this colony were published initially in Greek only due to what he considered the "depraved" sexual practices of the penguins. He over wintered with five others in an ice cave in particularly uncomfortable conditions when they could not be picked up again by the Terra Nova due to ice conditions. Born London in 1880 into a wealthy family. He applied to Scott to join the Terra Nova Expedition and was accepted because of his expertise with horses, his role was to look after the 19 ponies intended for sledge hauling. 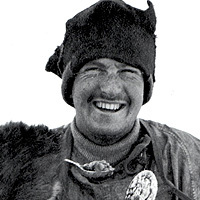 Oates contributed £1,000 (worth about £109,000 in 2017) to the expedition. He was selected as part of the 5 man South Pole Party. 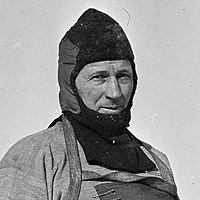 After reaching the pole and finding Amundsen's flag and tent already there, Oates weakened more quickly than the others on the way back, in particular he suffered from frost bitten feet. Lawrence Oates walked into the history books on March 17th 1912, after going to sleep hoping not to wake, he awoke to once again find a blizzard and the temperature at -40C (-40F). His last words were: "I am just going outside and may be some time." Oates' feet were too bad to get his boots on, so he walked out to his death in his socks, it was the day of his 32nd birthday. His body was never found, in November 1912 a cairn was erected with a cross inscribed: "Hereabouts died a very gallant gentleman, Captain L. E. G. Oates, of the Inniskilling Dragoons. In March 1912, returning from the Pole, he walked willingly to his death in a blizzard, to try and save his comrades, beset by hardships." Born into a fairly well to do family in Devon, England, Scott began his naval career in 1881 at the age of 13. He was offered the command of the Discovery Expedition to Antarctica, though he had no real interest beyond the promotion it represented. The expedition was deemed a great success in both exploration and scientific research, he became a popular hero on his return in 1904. The Terra Nova Expedition was another far-ranging scientific and exploratory enterprise with one of the stated aims being to reach the South Pole. 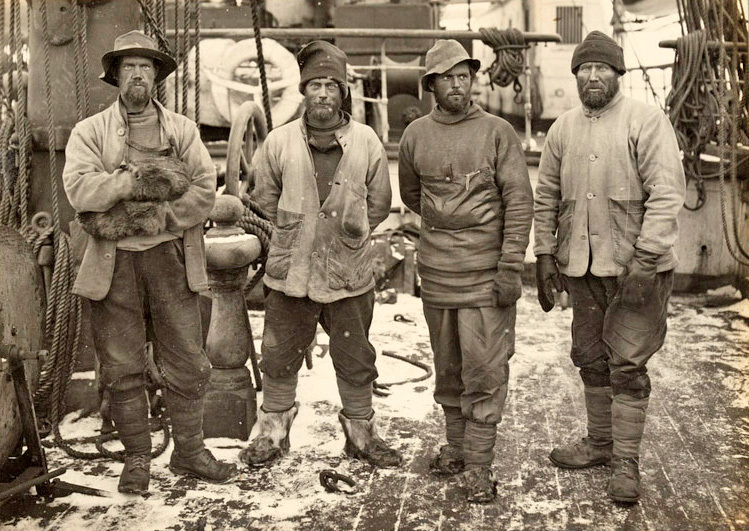 Scott's party became the second expedition to reach the South Pole in 1912, all five members perished on the return journey. When the news of the South Polar Party reached the UK they were feted as national heroes, a memorial service led by the King was held in St. Paul's Cathedral within days. Public subscriptions raised enough to pay off the expedition debts, and provide money for the families of the dead men, what remained was given to Cambridge University and used to found the Scott Polar Research Institute, still a world renowned research facility, polar library and museum. Abbot, George P. - petty officer, R.N. 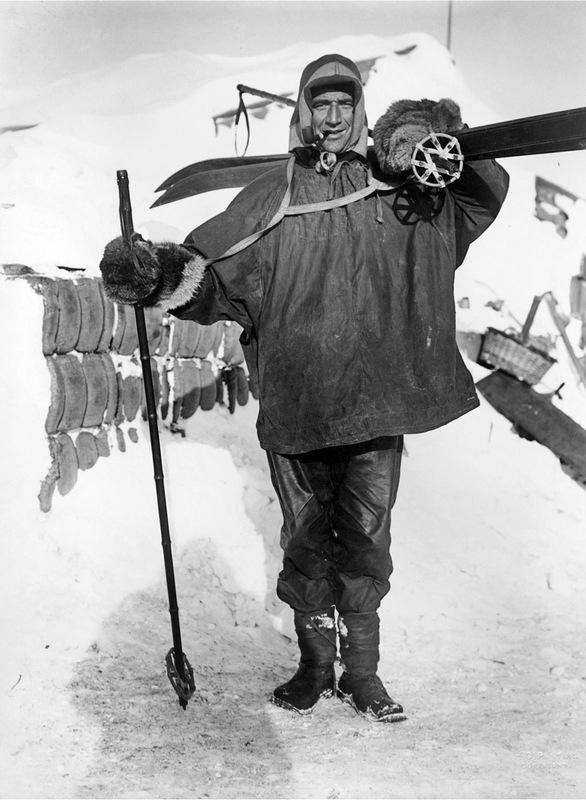 A member of the Northern Party at Cape Adare, wintered on Inexpressible Island. Abbot served with the Royal Navy in the WW1, he died in 1923. Archer, Walter William - Chief steward, late R.N. Served as a shipboard cook for two years and then was assigned to the shore party for the final year. He left the navy after the war and ran a catering business in London, he died on the 28th of January 1944. Browning, Frank Vernon - petty officer, 2nd class, R.N. 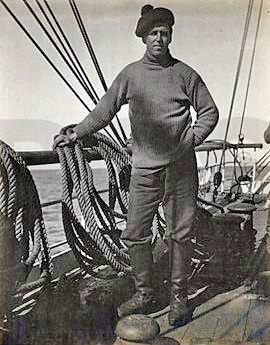 Born in Devon, England, joined the Royal Navy as a Boy 2nd Class in June 1900 at 18 and was made Petty Officer 2nd Class in November 1905, he was recruited to the Terra Nova Expedition from the Talbot, one of Lieutenant E. R. G. R. Evans (2nd in command on the expedition) old ships. 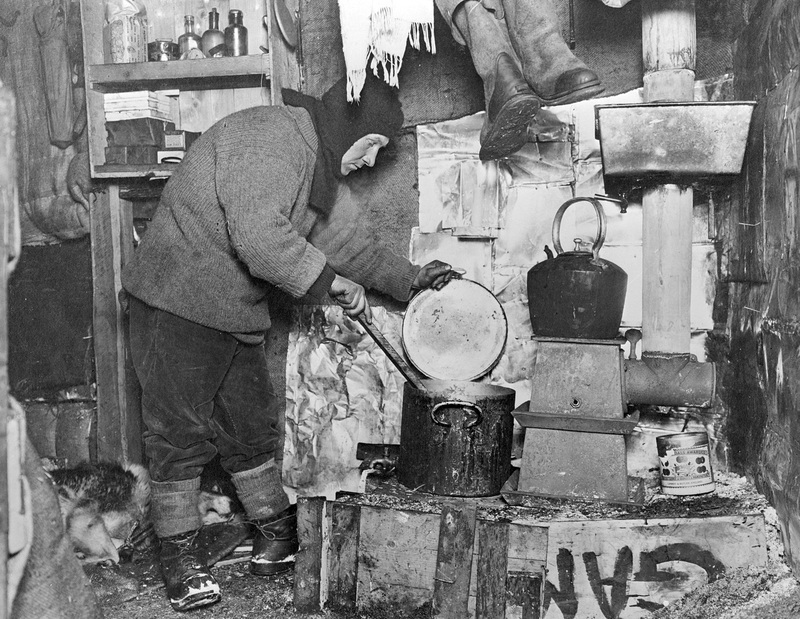 Part of the Northern Party under Campbell, they spent one winter in the hut at at Cape Evans and another unplanned in an ice cave when the party could not be picked up due to heavy sea ice. Browning and Abbott constructed an entrance hatch to the cave from ski-sticks and ice blocks after the original snow construction kept collapsing bring with it the threat of asphyxiation. He also came up with a "blubber lamp"� along with Dickason to light the otherwise pitch black living quarters which was fuelled by fat from the few penguins and seals they managed to capture through the winter. Clissold, Thomas Charles - cook, late R.N. 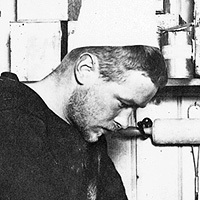 An artificer (a highly skilled and experienced field mechanic) in the Royal Navy, Clissold joined the expedition as a cook, but also worked ashore as a dog handler and with sledges laying supply depots. While posing for a photograph being taken by Ponting in the summer of 1911-12, he fell off an iceberg sustaining a severe concussion leading to him being replaced as shore party cook the following year. He served in the Royal Flying Corps in WW1, emigrating to New Zealand when demobilized. 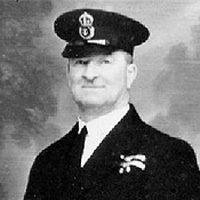 He served in the Transport Department in Napier, NZ until his retirement in 1953. Born in Annascaul, County Kerry, Ireland, Crean joined the Royal Navy at 15, he joined Scott's Discovery expedition in 1901 and was well liked and respected by the other men. 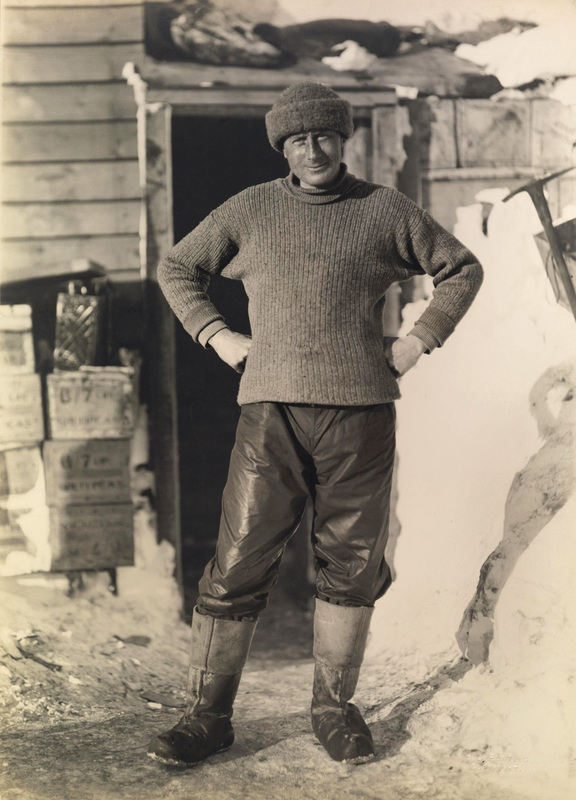 Crean was one of the first men Scott chose for the Terra Nova expedition, appointed as an expert sledger and pony handler, one of the few men on the expedition with previous polar experience. He was a part of the last group to be turned back 160 miles from the pole by Scott after not being selected for the final Pole Party, Scott described him as weeping with disappointment at having to turn back so close to the goal. He set off back with Lashly and Edward Evans, a 730 mile journey. Evans showed signs of scurvy, Crean and Lashly began pulling him on the sledge. On the 18th of February, there were still 35 miles to go, 4-5 days manhauling with just 1-2 days of rations left, they decided Lashly would stay with Evans while Crean would fetch help. With little food and no tent or other equipment Crean walked for 18 hours to Hut Point, he arrived just before a blizzard struck which would almost have certainly have killed him had he been caught it, he was on the verge of collapse on arrival. Evans who was close to death and Lashly were successfully recovered. 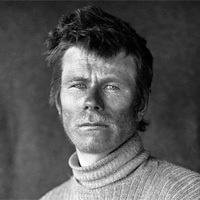 Crean was a part of the group who found their final camp of the south pole party in November of that year. 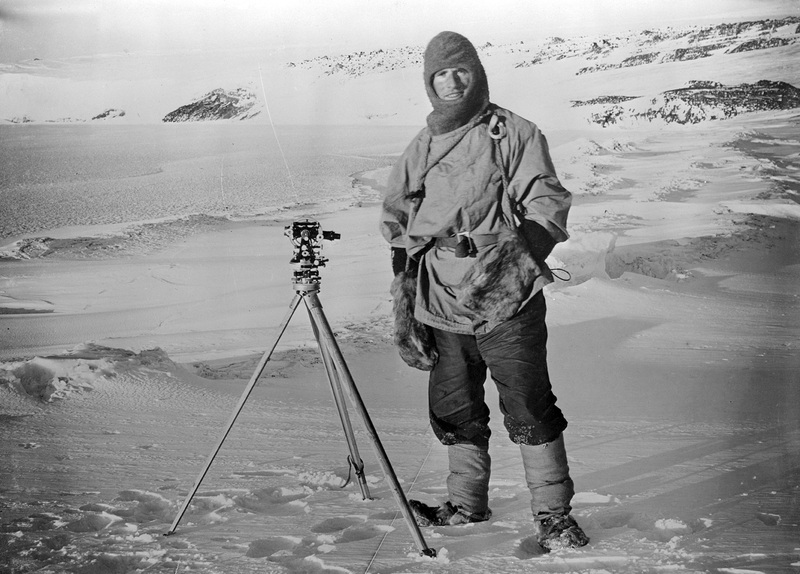 A member of the Northern Party at Cape Adare, wintered on Inexpressible Island. Abbot served with the Royal Navy in the WW1, he was pensioned by the Royal Navy in 1924 and died in 1943. Evans, Edgar - Petty officer, 2nd class, R.N. 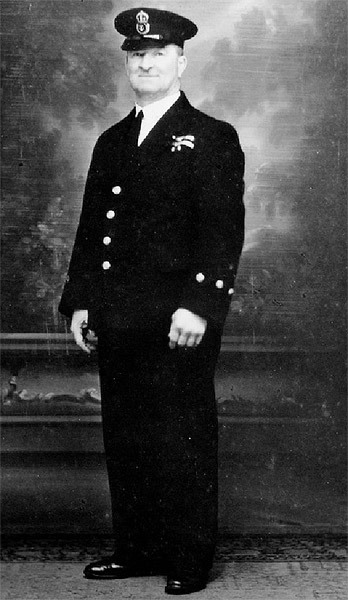 Born 1876 in Middleton, Wales, enlisted in the Royal Navy at 13 in 1891 and served on the same ship as Scott in 1899. Evans was responsible for the sledges, tents and all the equipment that was taken by sledging parties, a task at which he excelled. He was one of the five man South Pole Party with Scott. Just before reaching the pole he cut his hand in an accident, the wound refused to heal properly and he continued to deteriorate both physically and mentally during the return journey suffering frostbite to fingers, nose and cheeks. He had a fall in a crevasse while descending the Beardmore Glacier causing a concussion from a head injury which rapidly worsened his condition. On the 16th of February 1912 he collapsed and had to be temporarily left behind while the others in the party reached the next supply depot, on returning to get him Scott described him: "He was on his knees, clothing disarranged, hands uncovered and frostbitten and with a "wild look in his eyes"." He was taken to the tent on a sledge and put inside, he died during the night, there is no record of what happened to his body. He was 35 years old. Born near to the city of Cork, Ireland and related to the car maker Henry Ford. He joined the Royal Navy at 16 in 1910 he volunteered for and was accepted on the Terra Nova expedition. He spent two years of the expedition ashore at Cape Evans and took part in a western journey exploring and mapping the western mountains of Victoria Land. 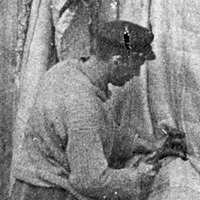 He wore a glove on his hand to protect it following the effects of frostbite on his return for the rest of his life. Dmitriy Girev was one of two Russians on Scott's expedition, they came to the attention of Meares who was sent to Siberia to buy both ponies and dogs for the expedition and were recommended as excellent handlers of the animals upon which they were both recruited. 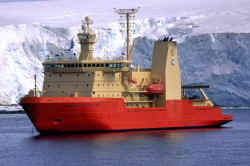 Girev travelled to Antarctica via Vladivostok, Shanghai, and Sydney, joining the Terra Nova in Christchurch. 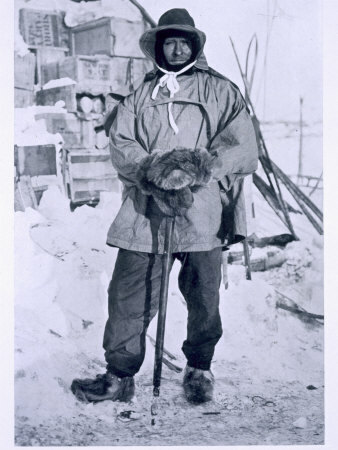 He became a popular and effective member of the expedition and took part in laying supply depots with the dogs, he was also one of the team who found the dead members of the South Pole Party at their final camp. Hooper, Frederick J. - Steward, late R.N. Hooper served first on the ship and then later joined the shore party. 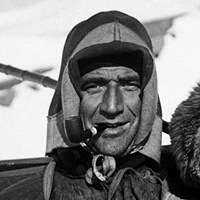 He participated in sledging journeys including the search for the missing pole party and the second ascent of Mount Erebus. He died in Southport in 1955. Born in County Cork, Ireland, he was a seaman petty officer in the Royal Navy at the time of the expedition being selected by Teddy Evans for the expedition. 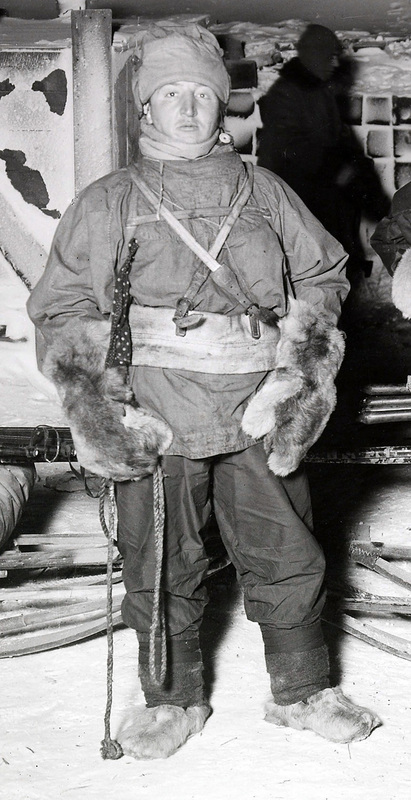 He was part of the group at Cape Evans, participating in many sledging trips, he was part of the support party that ascended the Beardmore Glacier and of the party that found the dead polar party. He returned to Ireland after the expedition and joined the coast guard, rejoining the navy in WW2. Born in Hampshire, England, the son of a farm worker, Lashly left school at 11 and joined the Royal Navy at 21. 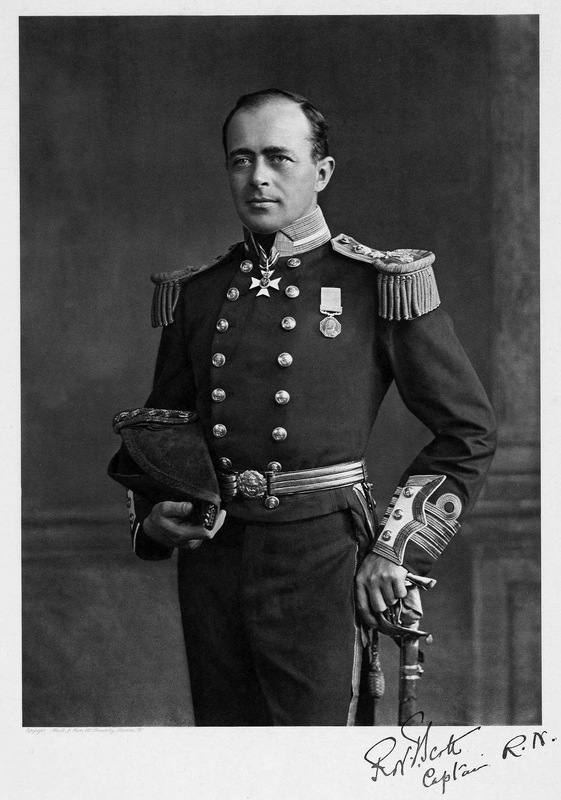 On Scott's Discovery expedition of 1901-1904, he was acknowledged by Chief Engineer Reginald Skelton as "the best man far and away in the ship". Lashly was in charge of one of the motor sledges, he set off with 2 of them to haul supplies for the pole attempt, within 5 days they had both broken down and the men had to resort to manhauling. He was a part of the last group of three turned back 160 miles from the pole by Scott after not being selected for the final Pole Party. He set off back to the hut with Crean and Edward Evans, a 730 mile journey. 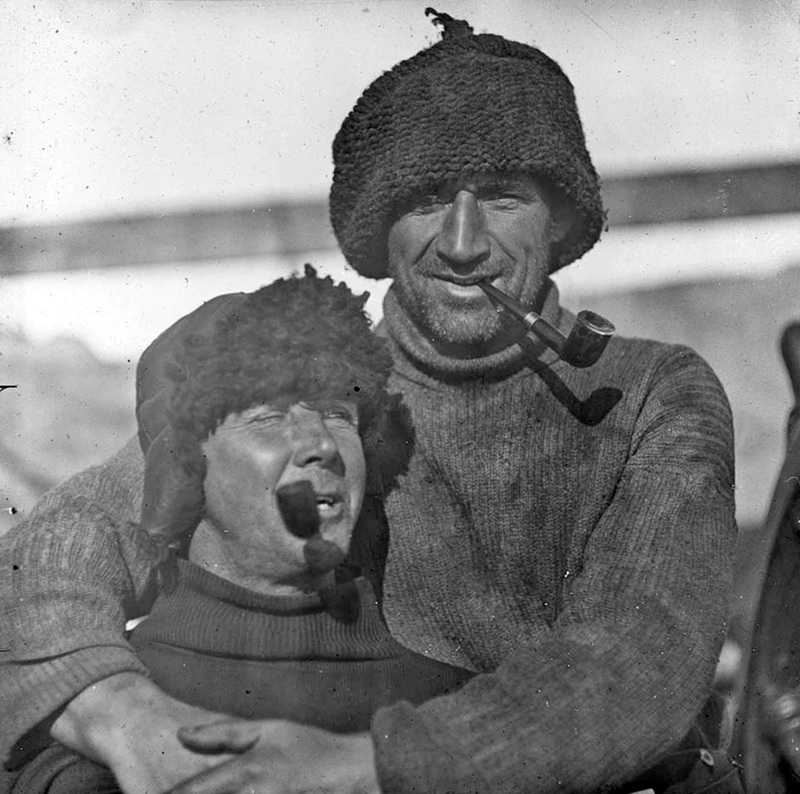 Evans developed snow blindness and began to show signs of scurvy, Lashly and Crean began pulling him on the sledge. On the 18th of February, there was still 35 miles to go and 4-5 days manhauling with just 1-2 days of rations left. They decided that Lashly would stay with Evans while Crean would fetch help. Evans who was close to death and Lashly were successfully rescued, Lashly and Crean were awarded the Albert Medal. Born in Bat'ki, near Poltava in the Ukraine, he was recruited by Meares to help select the Manchurian ponies he had been sent by Scott to buy. Along with fellow Russian Girev he accompanied the ponies and dogs via New Zealand to Antarctica. 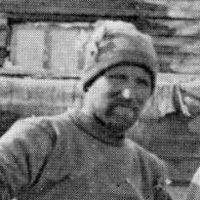 Omelchenko was assistant to Oates who was in charge of the ponies, he became a popular and hard working member of the expedition working with the ponies on several sledging journeys. Williamson, Thomas Soulsbury - petty officer, R.N. 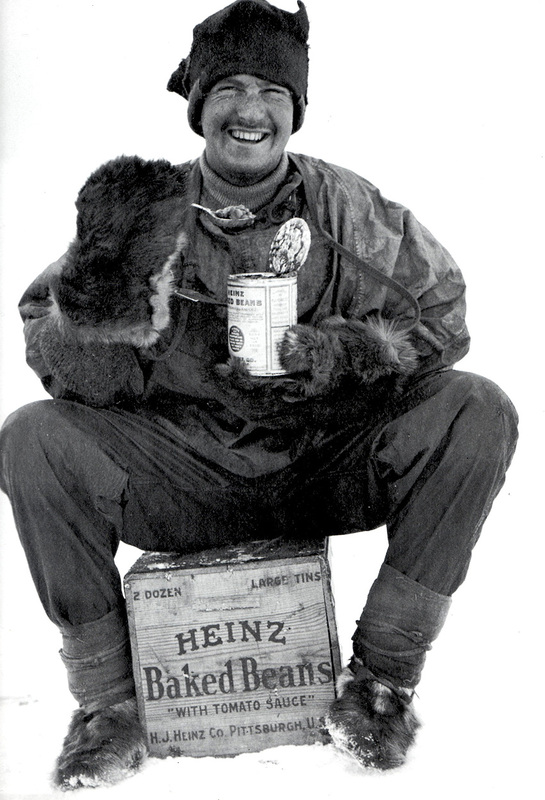 One of the search party that found the bodies of Bowers, Scott and Wilson in their tent having died on the return journey from the South Pole. Born 1877 Sunderland - died January 1940. Born in 1884 in Wymondham, Leicestershire and educated at Wellingborough Grammar School. 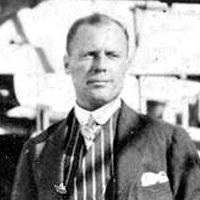 Day was involved in engineering from 1903, he left the employ of the New Arrol Johnston Motor-Car Company to join Shackleton's Nimrod expedition, the first to take a motor car to Antarctica. Scott took three motor sleds to Antarctica, the largest was lost while getting it ashore, the remaining two were unreliable and not well used. Born in New South Wales, Australia. 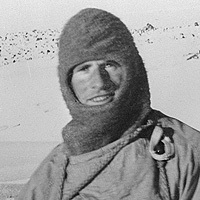 Debenham didn't take part in the South Pole journey due to a knee injury sustained while playing football in the snow, he took part in two western journeys with others exploring and mapping the western mountains of Victoria Land. 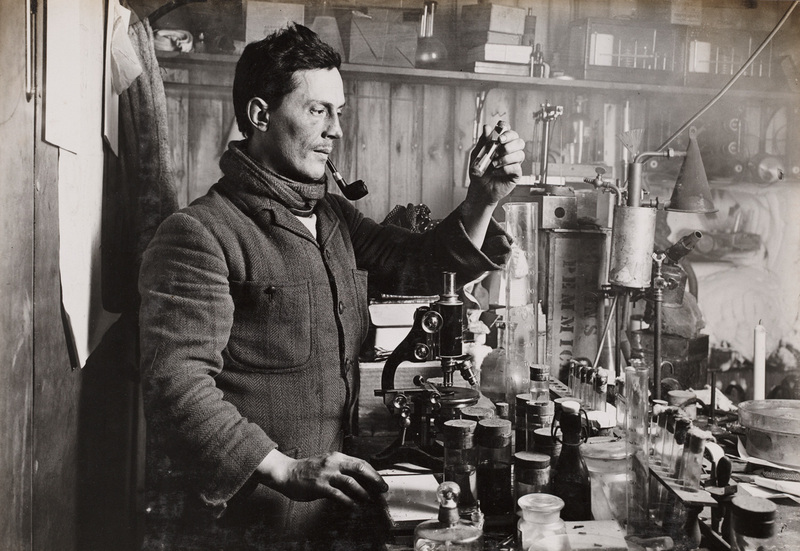 In 1920 using the remainder of public donations received following the deaths of those in the Polar Party, Debenham along with Raymond Priestly founded the Scott Polar Research Institute, part of Cambridge University. Born in Bedford, England. 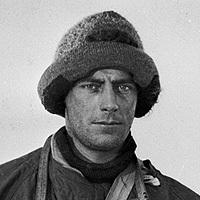 Cherry-Garrard joined the expedition with a £1,000 payment towards costs, Scott took him on as assistant biologist. 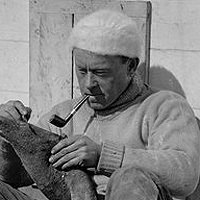 Most famous for his widely acclaimed book about the journey he made with Bowers and Wilson to Cape Crozier to retrieve an emperor penguin egg The Worst Journey in the World. He was part of the support team for the South Polar Party, reaching the top of the Beardmore Glacier before being sent back with his team. 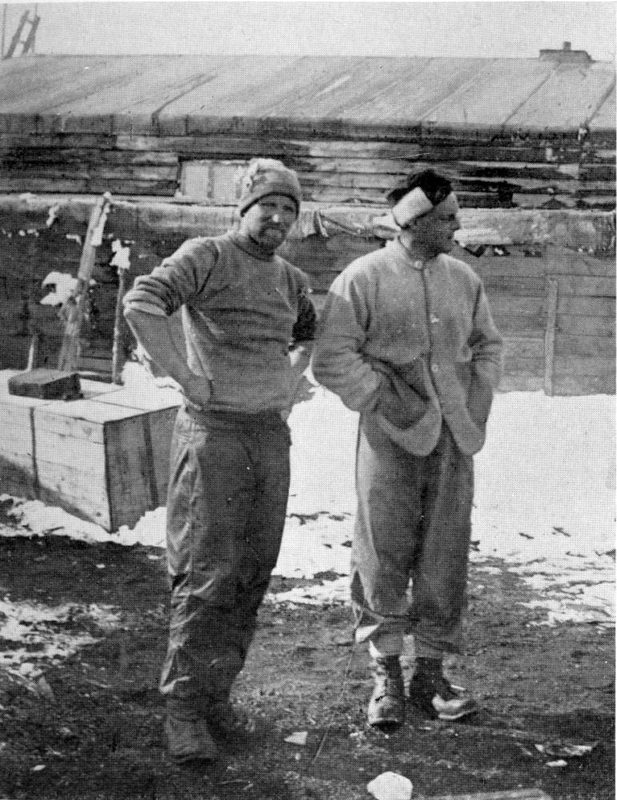 Before Scott left for the pole he gave orders to be met on the 1st of March 1912 at 82 or 82.30 degrees south by a dog team with supplies to help their return to the base. It fell to Cherry-Garrard to do this and along with Girev he set off on this journey on the 26th of February, reaching "One Ton Depot" on the 3rd of March, at the time Scott was 60 miles south of this point (3 days by dog team), they remained in the area until the 10th of March before returning due to a combination of poor weather and lack of dog food. Scott and the surviving members died 11 miles south of One Ton Depot on the 29th of March. Cherry-Garrard continued with his scientific work through the winter and was part of the team that found the bodies of Scott, Bowers and Wilson in their collapsed tent on the 12h of November. Born in Bergen, Norway, he was recommended by Fridtjof Nansen to Scott as a ski instructor while in Norway to test the motor tractor. Gran was involved in depot laying for the South Pole Party, in the journey to the western mountains and was part of the search party that found the dead bodies of the South Pole Party. He wore Scott's skis after collapsing the tent and building a cairn so that at least Scott's skis would make the full journey. Before leaving Antarctica, he climbed Mount Erebus and had a near miss when an eruption ejected large pumice blocks. Born in County Kilkenny, Ireland, Meares was an adventurer, Scott's by-the-book naval command structure didn't sit too comfortably with him. He was tasked by Scott to buy 34 dogs and 20 ponies for the expedition, he knew little about ponies though went to Siberia as instructed to obtain them. 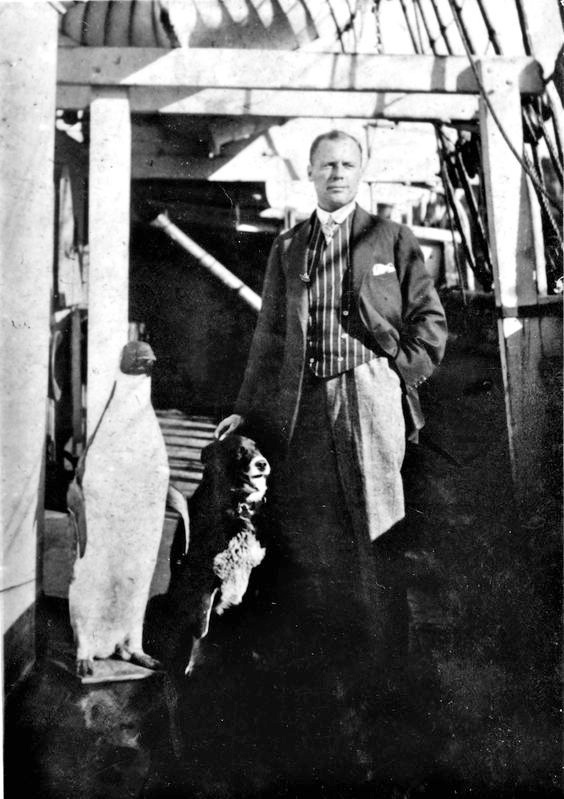 Meares took part in depot laying journeys with the dogs, though in Early 1912 he resigned for reasons that are not clearly recorded and returned home on the Terra Nova in March that year. A marine biologist who worked at the Marine Biological Association of the United Kingdom in Plymouth prior to the expedition. He took part in a sledging journey to One Ton Depot laying supplies. He returned to his old employer in Plymouth after the expedition though soon leaving to fight in the WW1. He later became Scientific Superintendent of the Fisheries Board for Scotland. He committed suicide by self administered lethal injection in 1923 at the age of 39. Born in Wiltshire, England, after trying his hand at a range of occupations, he turned his long standing hobby of photography into a profession. 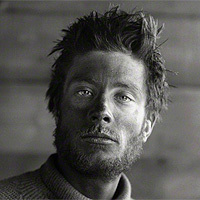 He built up a reputation as a photo-journalist and Scott engaged him as expedition photographer on the Terra Nova, the first professional photographer to accompany an Antarctic expedition. 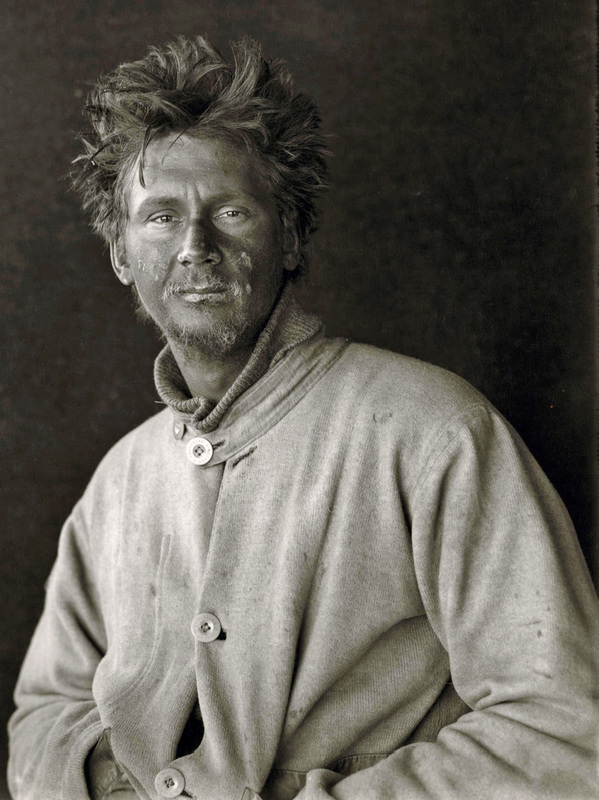 The great majority of the photographs of the Terra Nova Expedition were taken by Ponting. 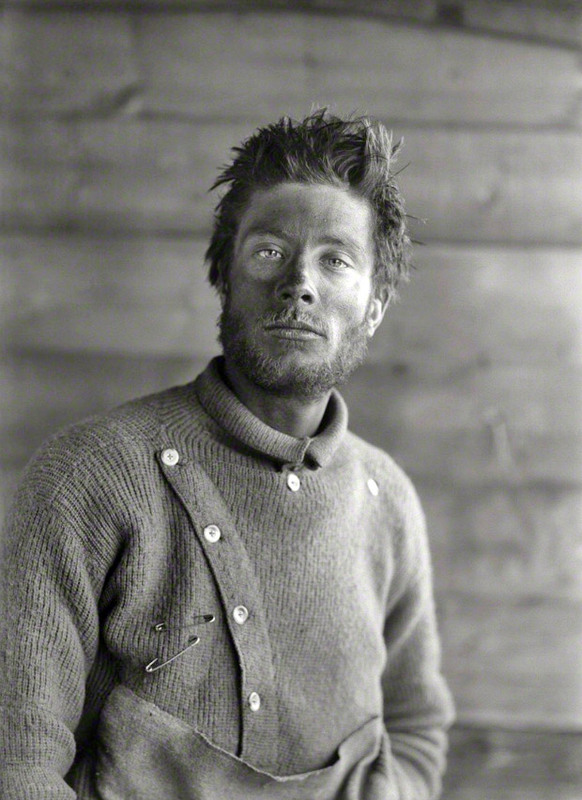 He spent 14 months in Antarctica leaving in February 1912 with over 1,700 photographic plates. With Scott's death the expeditions debts were paid off and more, so Ponting's pictures became more of an epitaph than a celebration and earned him little money. He produced two films from his material, The Great White Silence (1924 - silent) and Ninety Degrees South (1933 - with sound). 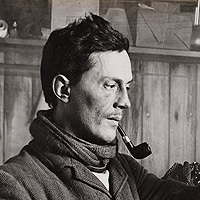 Born in Tewkesbury, England, Priestley studied Geology at Bristol University and joined Shackleton's Antarctic Nimrod Expedition (1907-09) as a geologist. 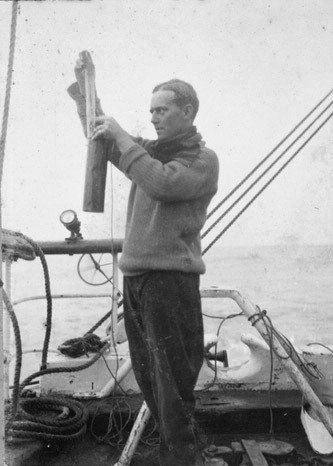 He was recruited by Scott for the Terra Nova expedition when the ship called at Sydney on the way south. He was part of what was intended to be an Eastern Party of 6 men led by Campbell but became the Northern Party after a suitable landing site could not be found, they built a hut and wintered at Cape Adare in 1911. The following summer the Terra Nova transferred them 250 miles south by to Evans Cove with enough sledging rations for 6 weeks and the intention of staying 2 weeks before being picked up again. Sea ice conditions meant they could not be reached and had to over-winter again. An ice cave was dug on Inexpressible Island and a miserable winter ensued, the occasional seal or penguin added to the meager rations. They marched back to Cape Evans at the end of winter, crossing 200 miles of sea ice arriving on the 7th of November 1912. Born in Derby, England, Simpson joined the Indian Meteorological Service before being appointed as one of two meteorologists to the Terra Nova expedition. He was given the nickname "Sunny Jim" because of his resemblance to a character on cereal packets. 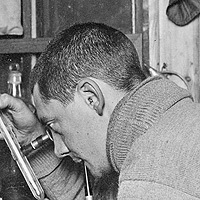 Simpson spent most of his two years in Antarctica at the hut at Cape Evans to maintain continuity of the meteorological records, he installed and maintained the most sophisticated array of recording apparatus that had been taken to Antarctica at that time producing reports on the weather and atmospheric physics that received wide acclaim. 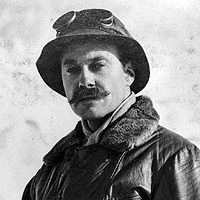 He accompanied Scott, Bowers and Evans on a sledging trip in October 1911. Born in Walthamstow, England, the family emigrated to Australia when Thomas was 13, he was awarded a scholarship to Cambridge University in 1907 when he became friends with Raymond Priestley, Charles Wright and Frank Debenham all of whom he recruited to Scott's Terra Nova expedition. 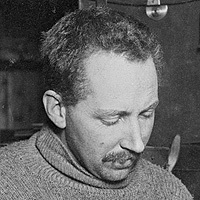 Taylor was the leader of the geological team who made the first geological maps and studies of large areas of Antarctica, leading two expeditions to unexplored areas to do so. During the second of these, Taylor's party were due to be picked up by the Terra Nova on Jan 15th 1912, but the ship could not reach them, on the 5th of Feb, they set off across the ice where they were seen and picked up on the 18th of Feb, returning home in March unaware of the fate of Scott and his party. Born in Cheltenham, read Zoology before qualifying in medicine at St. George's Hospital London. Wilson became ill with tuberculosis, during the long convalescence he practiced and developed his skills as an artist. In 1901, Wilson applied to be doctor on Scott's Discovery Expedition to Antarctica, he made an attempt on the South Pole with Scott and Shackleton, they reached the furthest south point at that time. On the Terra Nova Expedition he accompanied Cherry-Garrard and Bowers on a trip to Cape Crozier to retrieve an emperor penguin egg in the winter of 1911, famously written about in the book "The Worst Journey in the World". The three men endured the coldest temperatures recorded on the expedition, as low as -57C (-70F) in the dark of the Antarctic night. 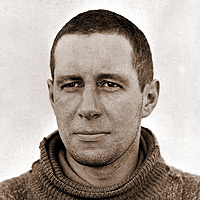 Wilson was one of the 5 man South Pole Party who perished on the return journey, he died in the tent at the last camp with Scott and Bowers at the age of 39. Known as "Uncle Bill", popular for his easy manner, Wilson gained great respect from the men he worked with, A lasting and acclaimed legacy is the collection of water colour pictures that he made during his two Antarctic expeditions. Born in Toronto, Canada, sometimes known as "Silas" from his middle name. 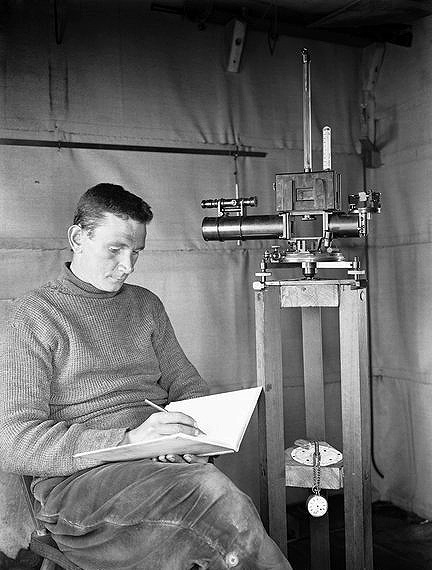 In Antarctica, Wright carried out numerous experiments and observations on the physics of ice and snow, gravity, the aurora and magnetism, he also assisted in meteorology. He was part of a four man team who mapped the western mountains of Victoria Land and made geological observations. 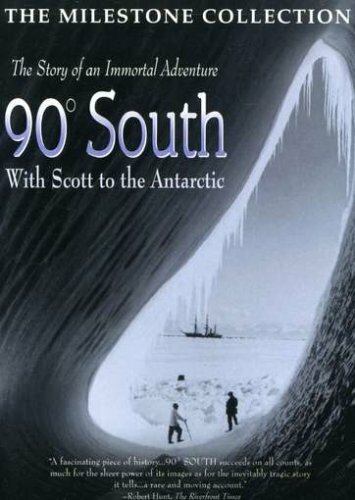 He set off with the Southern Party to the South Pole, hoping to be one of those chosen to go with Scott to the pole though was part of the first support party sent back with around 300 miles to go. Nearly a year later he was part of the search party that found the tent with the bodies of Scott, Bowers and Wilson who had died on the return journey. Born on 12 February 1885 at Allington, near Bridport, Dorset. As a boy he walked to Portland to enlist in the Royal Navy. He was taken into boy service on 2 October 1900, signing on for twelve years service. By 1911 he was a Leading Seaman in HMS POWERFUL when on 6 December he transferred to the TERRA NOVA at Lyttleton for service with the TERRA NOVA, he took part in her second and third voyages to the Antarctic and as a consequence of his good service received the Polar Medal. Drowned at Elmslie Bay, French Pass (South Island, New Zealand) while surveying Admiralty Bay in 1912, the grave is on the hill above the wharf at Elmsie Bay erected by members of the expedition. 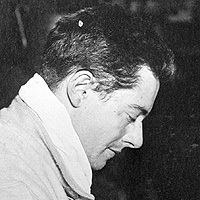 Bruce, Wilfred Montague - Commander, R.N.R. Born in Scotland, Bruce became an officer in the merchant navy and the Royal Naval Reserve, he was Scotts brother in law. 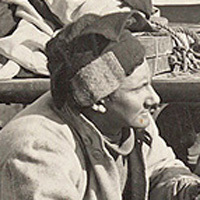 He helped in the collection and transportation of the ponies and dogs for the expedition from Vladivostok and then served as second officer on the Terra Nova. He served as a captain RNR in WW!, retiring from this shortly after the war to become a pig farmer. 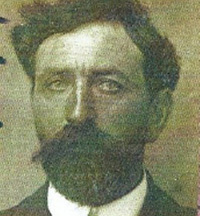 Burton, William (Bill) - Leading stoker, R.N. 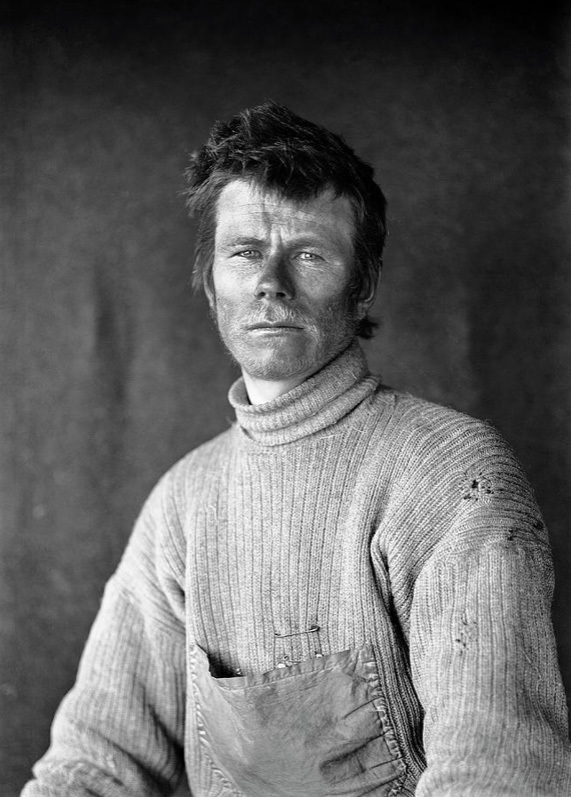 Died in Lyttleton, New Zealand, 1988, seven weeks short of his 100th birthday, the last surviving man from the Terra Nova expedition. 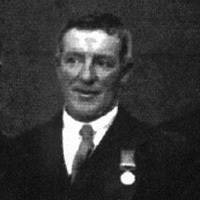 Cheetham, Alfred Buchanan - Boatswain (Bosun), R.N.R. Born in Liverpool, his family moved to Hull and Cheetham ran away to sea as a teenager working on North Sea fishing boats. He became a merchant navy boatswain and a Royal Naval Reservist. 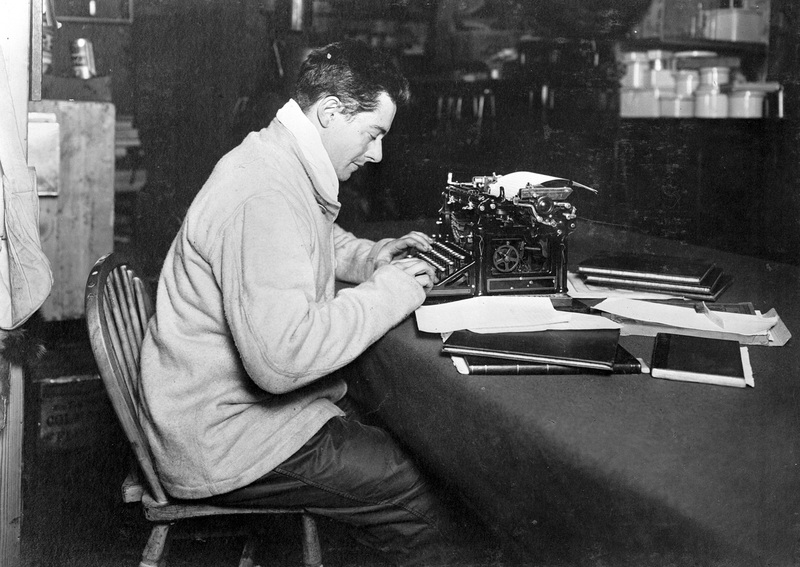 Cheetham first went to Antarctica on the Morning in the austral summers of 1902-3 and 1903-04. 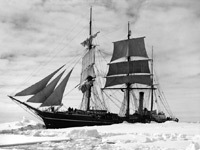 He met Shackleton on the second voyage and was invited on his Nimrod expedition as boatswain and third officer. 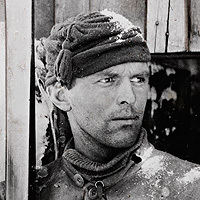 He held the same roles on the Terra Nova and again with Shackleton on the Endurance. A popular and cheerful member of crews on which he served, Frank Worsley (captain of the Endurance) called him "a pirate to his fingertips". 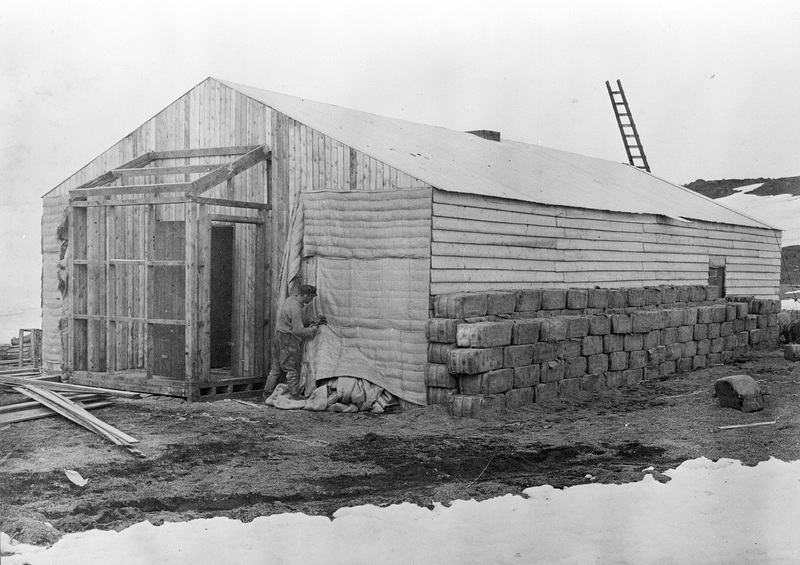 Francis built the huts at Cape Evans. Later on when returning on the Terra Nova and hearing of the death of Scott and the polar party, made the memorial cross that still stands on Observation Hill near to what is now McMurdo base. He returned to Plymouth, England to live after the expedition. Heald, William L. - R.N. Late P.O. Born in Liverpool, England, he emigrated to Lyttleton, New Zealand where he joined the Royal Naval Reserve. 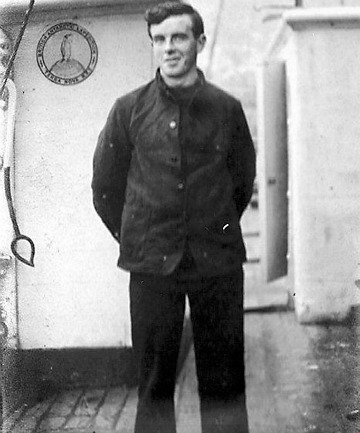 He joined the relief ship Morning as part of Scott's Discovery and became an able seaman on the Terra Nova. After the expedition, on the 7th of February 1915, Knowles had the dubious distinction of being the first New Zealander killed as a result of enemy action in WW1 at the age of 38, he had married in 1904 and left a wife and two children. more on Able Seaman William Knowles. Born in Stroud Green, London, he was n the Royal Navy Volunteer Reserve helping to load the Terra Nova when he applied to join the ship, serving for three years as petty officer. He helped in particular with the clerical work and became skilled in taxonomy. Later as a commissioned officer, he served in WW1 and retired with the rank of commander. 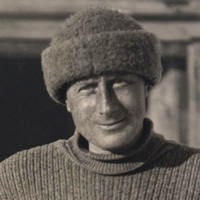 He began the Antarctic Club in 1929, an annual dining club for the former members of British expeditions, he remained the honorary secretary until he died. Born in Kinsale, County Cork, Ireland, older brother to Tim McCarthy, one of only two pairs of brothers to serve with Scott and Shackleton. Mortimer lied about his age and went to sea at 12, he served in the Royal Navy during the Boer War. He made three round-trips to the Antarctic on the Terra Nova. He settled in Lyttleton, New Zealand working as a seaman for over 70 years and was still working on ships in his 80s. 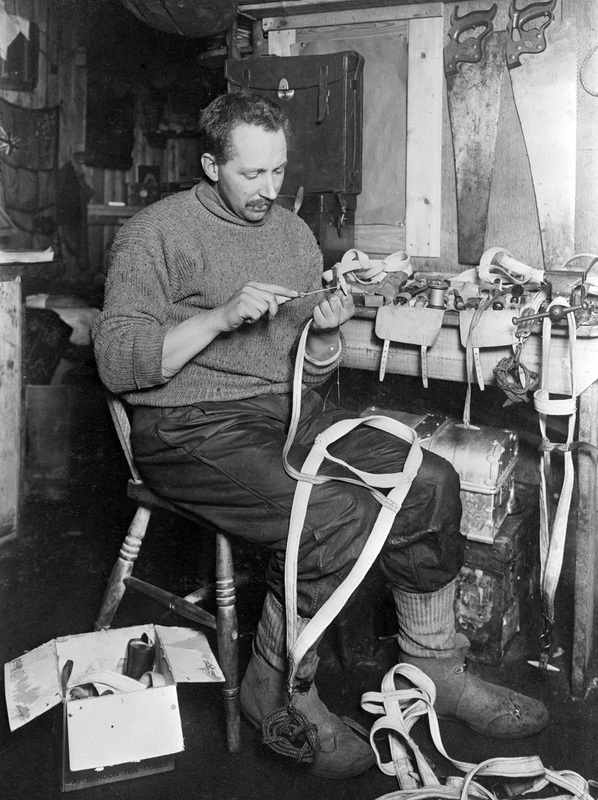 He made a nostalgic trip to Antarctica 1963 at the age of 81, he died in a fire at his home aged 85. Lived in Invercargill, New Zealand. Born in Norfolk, England, joined the Royal Navy in 1903 and reached the rank of leading stoker by the time he volunteered for the expedition. On his return and on leaving the navy, he joined the London Metropolitan Police. He served in the army and navy in WW1, going back to the police afterwards until he was invalided out in 1942. Born in Glasgow, Scotland and brought up in Stornoway, the Outer Hebrides, McLeod first went to sea aged 14. He was one of very few able seamen who received two polar medals, one from the Terra Nova expedition and the other from the Endurance. Born 31 October 1888 in Portsmouth, Hampshire. Awarded the Silver Polar medal personally by King George V.
Information and picture courtesy Garry Neale, great grandson of W.H.Neale. Returned to his native Plymouth after the expedition and ran a shoe repair business, he called his bungalow "Terra Nova", he died at the age of 91. Born in Scotland and known as "Scotty", Paton sailed on both of the voyages of the Morning the relief ship to Scott's Discovery expedition. 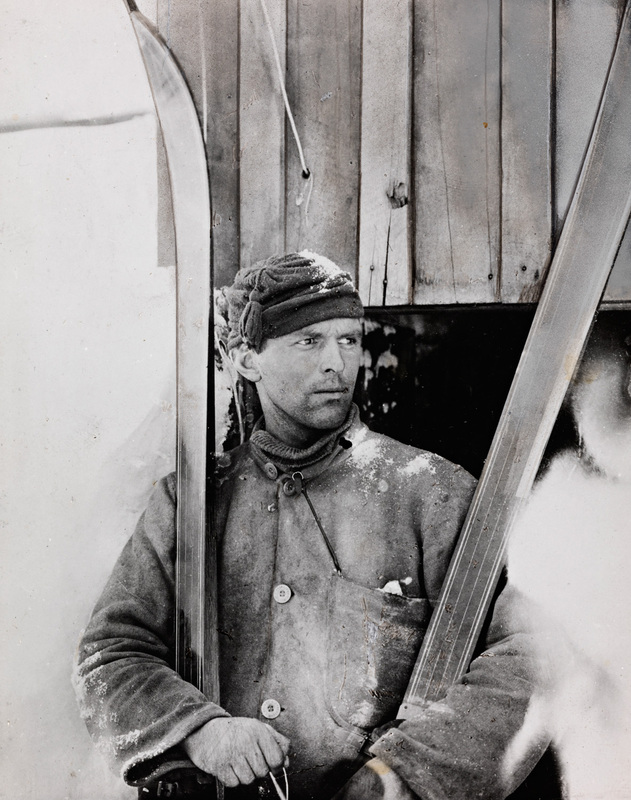 On the first voyage while the Morning was temporarily prevented from progressing by ice in between Cape Bird and Beaufort Island, Paton jumped off the ship and jumping from flow to floe for over a mile became the first man to land on Beaufort Island. He sailed on the Nimrod twice during her southern journeys and again on the Terra Nova, twice between New Zealand and Cape Evans. 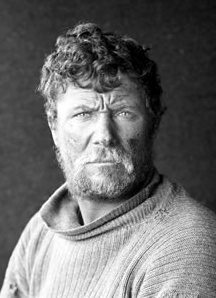 On the Aurora in 1915 as part of the Ross Sea Party of Shackleton's attempt to cross Antarctica via the South Pole, he drifted for 9 months in pack ice before limping back to New Zealand, his last journey to Antarctica was in January 1917 to rescue the stranded Ross Sea Party. He stayed with the Aurora on her return to New Zealand when she was sold and became a coal carrier. She left New South Wales in June 1917 heading for South America never to be seen again, Paton was lost with the ship. It is thought that she may have hit a mine laid by the German raider Wolf in the Tasmanian Sea. Pennell, Harry Lewin Lee - Navigator, Lieutenant, R.N. 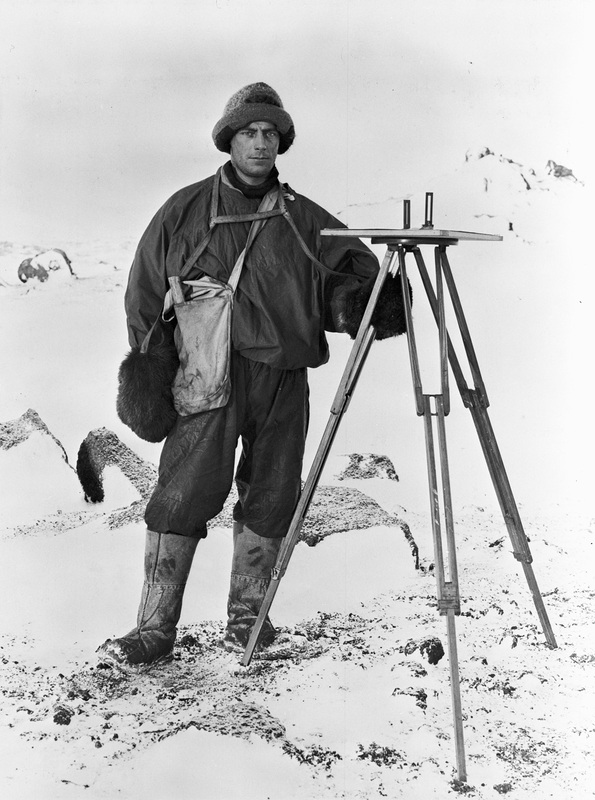 Born in Lincolnshire, England, he was a senior engineer in the Royal Navy when he joined the Terra Nova expedition. He supervised the fitting out of the ship. 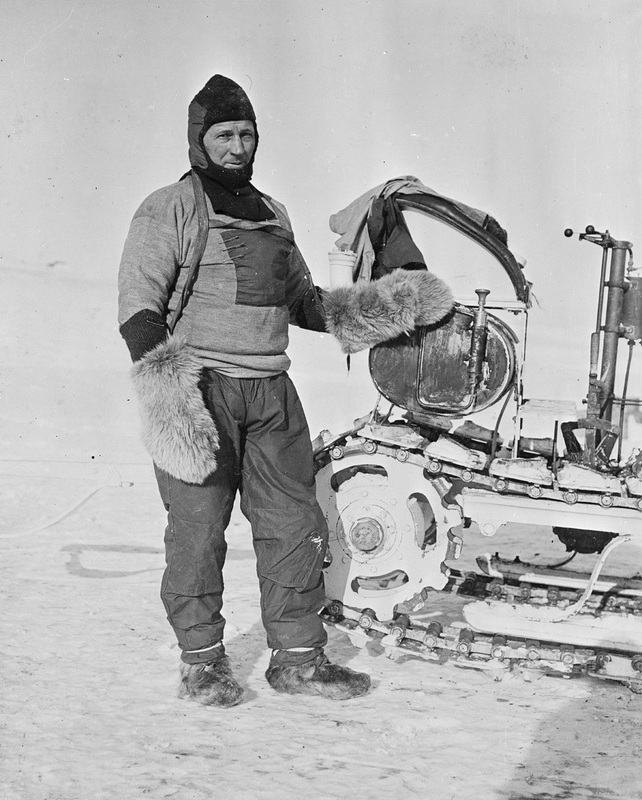 He took part in several sledge journey's though due to naval protocols he was left behind by the South Pole Party rather than accompanying the motor sledges, as a result they both broke down within 5 days, whereas Skelton as the expert could perhaps have kept them going for longer. 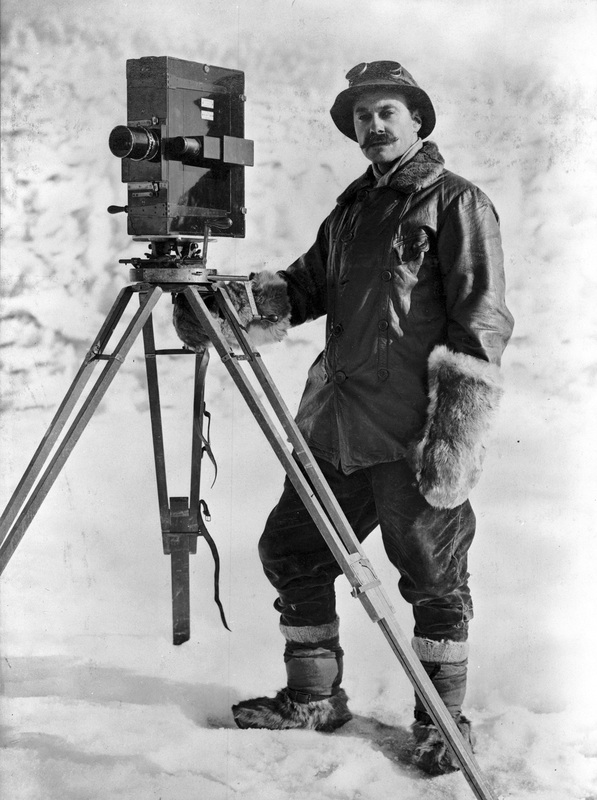 He became an accomplished photographer during his time in Antarctica. In WW1, he was in charge of the dockyard facilities at Archangel, Russia. He retired from the navy with the rank of Engineer Vice-Admiral in 1932 and became a director of Thorneycroft and Co. shipbuilders. 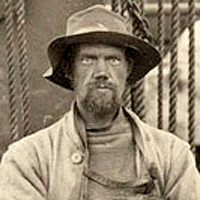 Born in Lyttleton, New Zealand the son of a master mariner, he went to sea in 1895 and joined the navy in early 1900's. 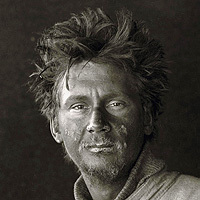 He received the Antarctic Medal and Royal Geographical Society Medal following his action in a storm that stopped the Terra Nova foundering in a storm, cutting a hole in a bulhead between the boilers in blistering heat to allow the blocked pump to be cleared.